Joyce Berger Cowin’s opening remarks. William C. Agee during his Abstract Expressionism in American Art lecture. 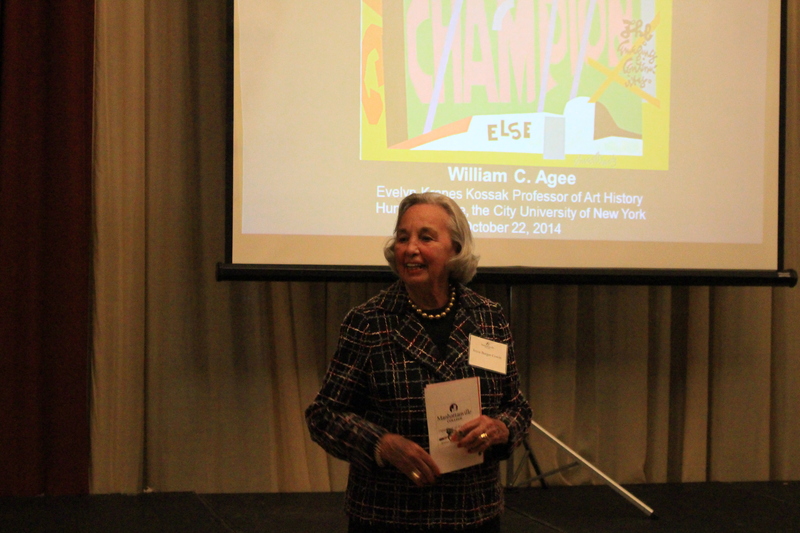 Following the tradition of many distinguished lecturers at the event over the years, William C. Agee masterfully explored the era of Abstract Expressionism in American Art by examining the works of Arthur Dove, John Marin, Jackson Pollock and other artists. The subject of the lecture had the same focus as his upcoming book on American art from 1945 to 1950, a period Agee considered to be overlooked in Art History academia. His talk was followed by a spirited Q&A from the audience and a cozy reception where attendees continued to discuss the topic over coffee and dessert. Despite the rainy weather, the Arthur M. Berger Lecture was once again a successful and well-attended event. Connie Hogarth sitting in the front row, along with other attendees. 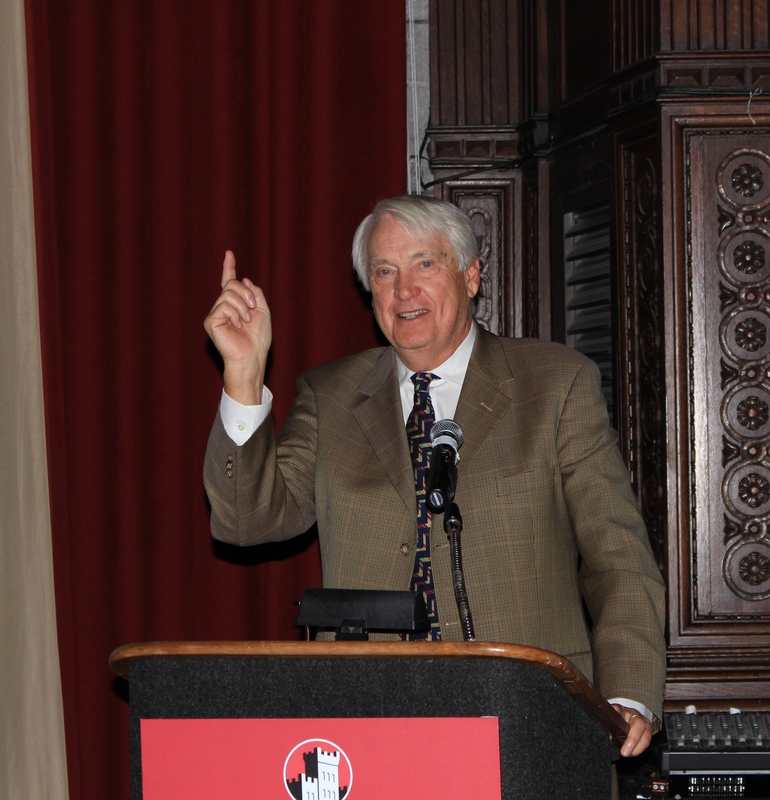 Earlier in the week, another great speaker visited campus to discuss political topics in current news. Executive producer and host of Democracy Now, Amy Goodman, answered tough questions regarding Ferguson, Ebola, police brutality cases, and other important stories that have been covered by the media in recent months. Students, faculty, and many members of the Westchester community gathered in the West Room for the special presentation. In addition, Connie Hogarth was in the audience and was presented with flowers at the beginning of the event, in gratitude for her work and generosity to the College through The Connie Hogarth Center for Social Action which was established sixteen years ago. 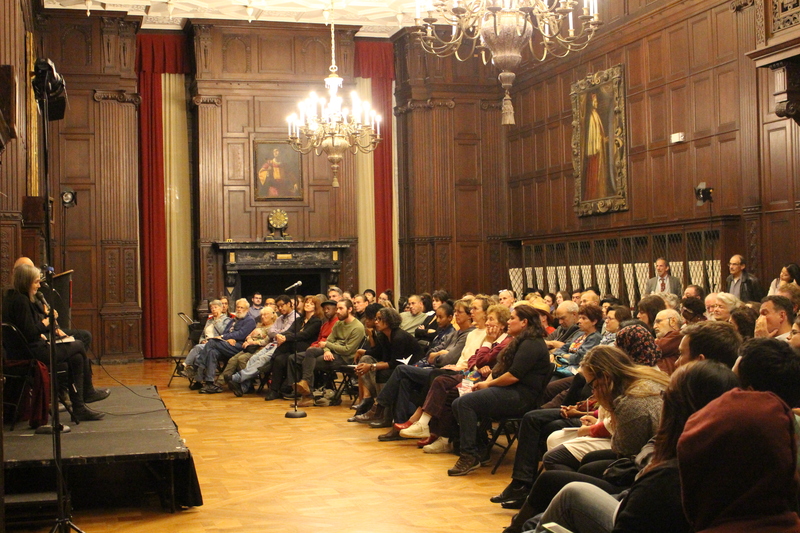 Goodman’s visit to campus is part of Manhattanville’s MFA speaker series. Mark Nowak moderating Amy Goodman’s discussion. 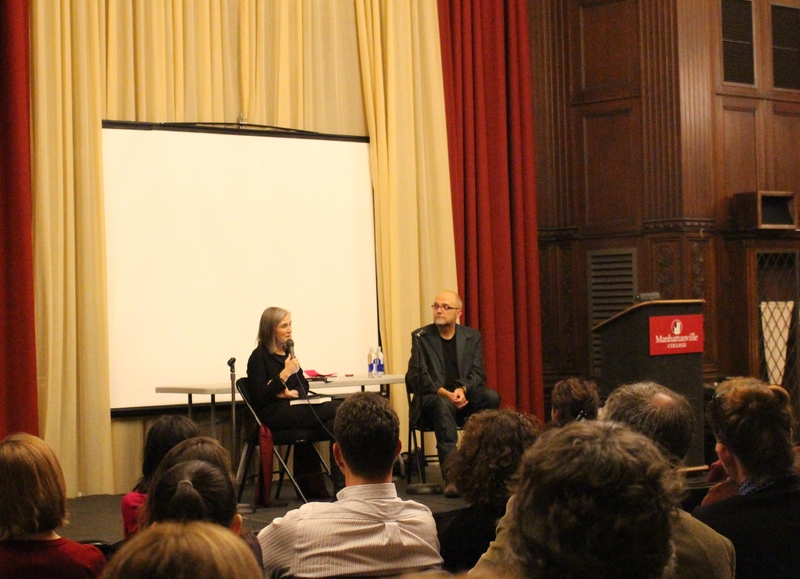 We would like to extend our thanks to the Art History and Studio Art Departments for their efforts in organizing the Berger event and to Mark Nowak and Camille Rankine from the MFA Department for hosting Amy Goodman’s thought-provoking discussion.